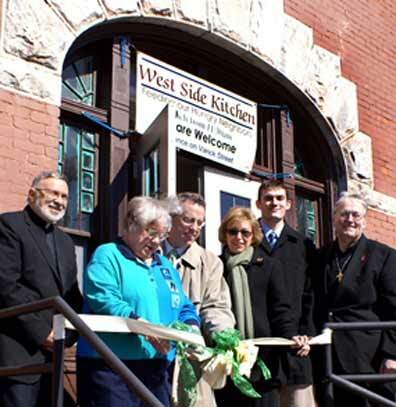 UTICA, NY, Nov. 22, 2016 Mother Marianne’s West Side Kitchen is serving Thanksgiving dinner on Thursday, Nov. 24, starting at 11:30 a.m. The menu includes a traditional turkey dinner. The soup kitchen, located at St. Joseph-St. Patrick Parish at 702 Columbia Street in Utica, will be staffed by volunteers ready to welcome those in need of food and/or companionship. The operation is named after parish daughter St. Marianne Cope, who grew up and attended school at the parish before becoming a Franciscan sister and ultimately caring for leprosy patients in Hawaii.